-- Select a Size/Color -- X-Small - Out of Stock! Small - Out of Stock! Medium - Out of Stock! Large - Out of Stock! X-Large 2X-Large 3X-Large - Out of Stock! 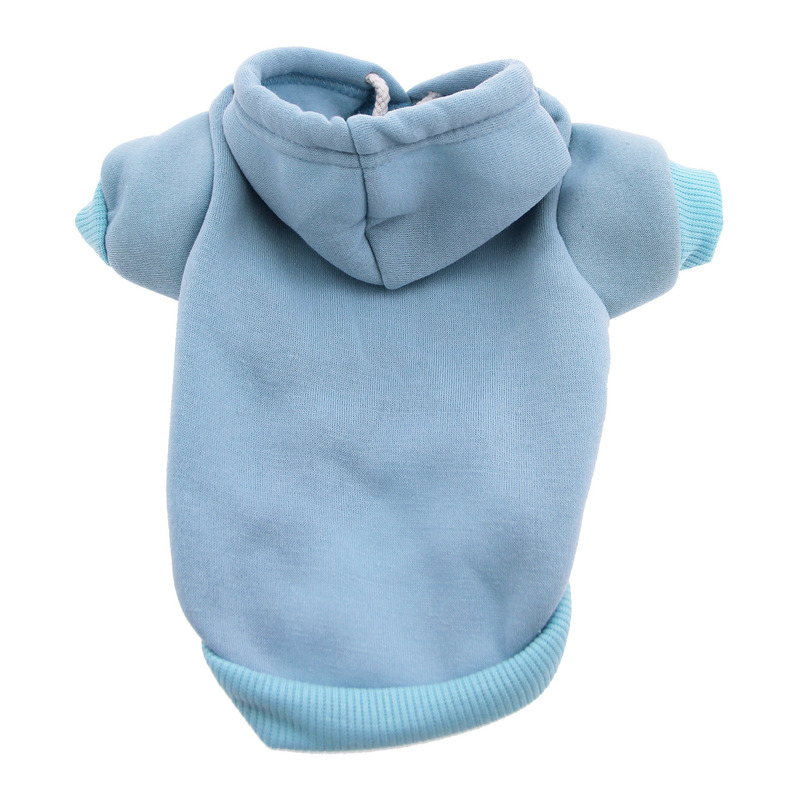 Keep your pets clean and warm when they are outside, or set your dog apart from the others with their own style with this Plain Dog Hoodie by Mirage. Ribbed hem and cuffs for a great fit. Stand out among all the other dogs! 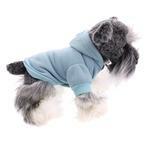 The Plain Dog Hoodie in Baby Blue is a cool, comfy design for a perfect look year-round. Plus, the bold look makes quite a fashion statement! 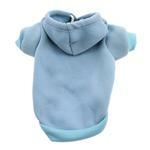 This baby blue hoodie is perfect for puppies and little boy dogs. The cozy, soft fabric helps keep pets warm both indoors and out. Even hairless cats will enjoy this soft hooded sweatshirt for pets! 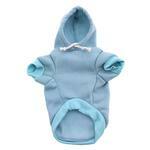 Plain Dog Hoodie - Baby Blue Customer Photos - Send us your photo! Sebastian is our mellow little Cavalier-Cocker boy who loves to go on walks wearing his cute gear from Baxterboo! Bohdi gets very cold since he's a hairless dog. He wears his hoody (he has a few different colors) every day, usually the second half of the day, because he gets very cold on his walks. He's a five pound crested, and the small fits great. Posted On 11/18/16 by Kelley M from Olympia, WA Yes, Kelley M recommends this product! This hoodie is well made and fits true to the size chart. The fabric is really soft and it will keep my Sebastian toasty warm! Very nice and soft hoodie, pooch seems to feel very comfortable in it. Posted On 12/18/15 by Susan G from West Lawn, PA Yes, Susan G recommends this product! The shade is very pretty, but the hoodie is not as long as the vibrant orange one we purchased. It looks cute, but the shorter length doesn't offer as much protection as others my pets own for use in outdoor walking and play. Posted On 10/31/15 by Sam S from , Yes, Sam S recommends this product! These hoodies are wonderful. They keep the little boy warm and even clean when he decides to roll outside. Baxter Boo is wonderful for offering such great items. Posted On 11/10/13 by Marie G from Athens, GA Yes, Marie G recommends this product! Plain Dog pieces are great basics. BB has the cutest, and also the best coats, hoodies and other clothes. I like everything I see and want everything I like!